Why did you, as a Finnish company, enter the Polish coworking market? And why did you choose the space offered by Cavatina on ul. Chmielna in Warsaw? 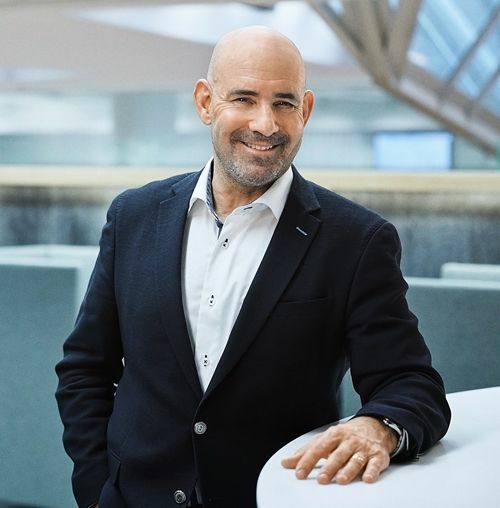 Keith Silverang, the CEO of Technopolis and owner of the UMA Workspace coworking network: The Polish market is dynamic – its growth prospects, especially in the knowledge economy, are good and we believe there will be strong demand for our product. Coworking in particular is catching on. The place we have taken is a very good fit for our concept in terms of its location, flexibility and infrastructure. What amenities will the tenants of the Chmielna 89 building have? The services range from state-of-the-art digital systems and modern conference rooms, to speciality coffee and networking events. Members will have access to all our space and services in the network by simply signing up for membership. The coworking sector in Poland is booming. How do you expect to be able to compete with the other operators? What do you expect your biggest challenge in Poland will be? Our competitiveness is based, as always, on our superior customer experience management, which in turn is rooted in the Technopolis Concept. Added to that is the way each UMA location gives users access to the entire Technopolis and UMA network, so our clients can make flexible use of all of our locations. Technopolis manages coworking space in many countries. How are these markets different from Poland? Each market has its own cultural specifics. Some are focused more on attracting talent, some on space efficiency, and others on the need to respond quickly to change, which we call agility. But all of these markets are focused on a combination of these three drivers. Which types of company are generally your main tenants in terms of sector and size? UMA works for both large and small companies. We have been particularly popular with large companies, where the work has become increasingly mobile. For example, a flexible workspace in a central location is ideal for meetings if the company’s own office is in the suburbs. At the same time, smaller and growing companies have benefited from the UMA community. We have many roaming clients and we believe that many of them will use our new UMA centre on their business trips. What are your further plans for the Polish coworking market? How about new locations in Warsaw or in other cities? We would of course like to scale up in order to serve our customers better as well as to boost the profitability of our Polish operations, assuming we are successful with this first project. That expansion would revolve around both Warsaw and some of the other regional cities we have identified as being a good fit with our investment criteria. What’s the future of coworking in Poland and Europe? How do you expect this sector to evolve? Coworking is here to stay. But on the other hand I am confident that a shake-up is coming due to the excessive volume of players and supply. For Technopolis it’s different because the UMA format is an extension of our entire campus network – we have essentially miniaturised the Technopolis concept and deployed it in CBD locations. So I’m not personally worried about the prospect of a shake-up. In fact, it might even open up opportunities for us to accelerate our growth.